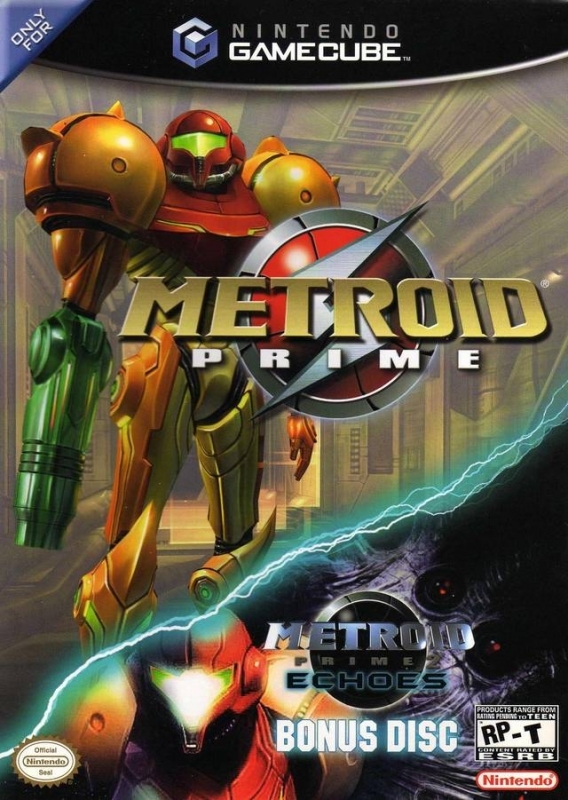 "Samus returns after a long hiatus with a fresh perspective on a classic franchise." 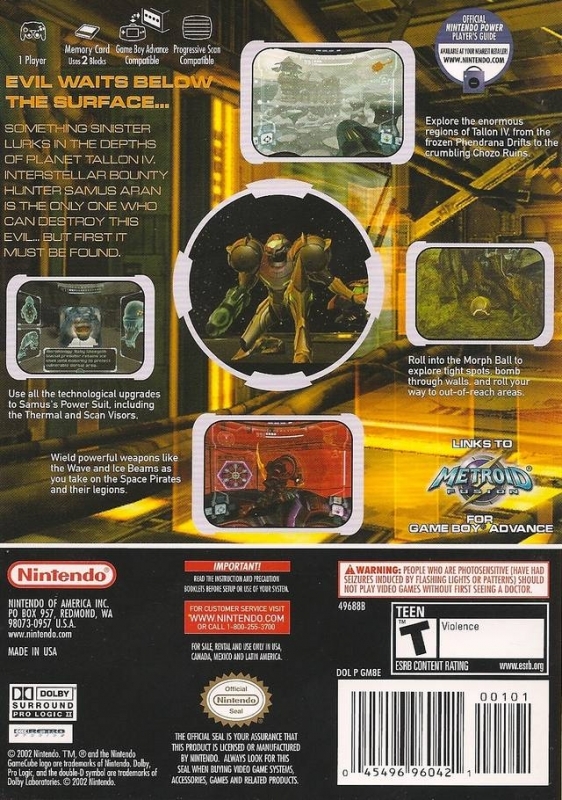 Metroid Prime is the first 3D metroid game. 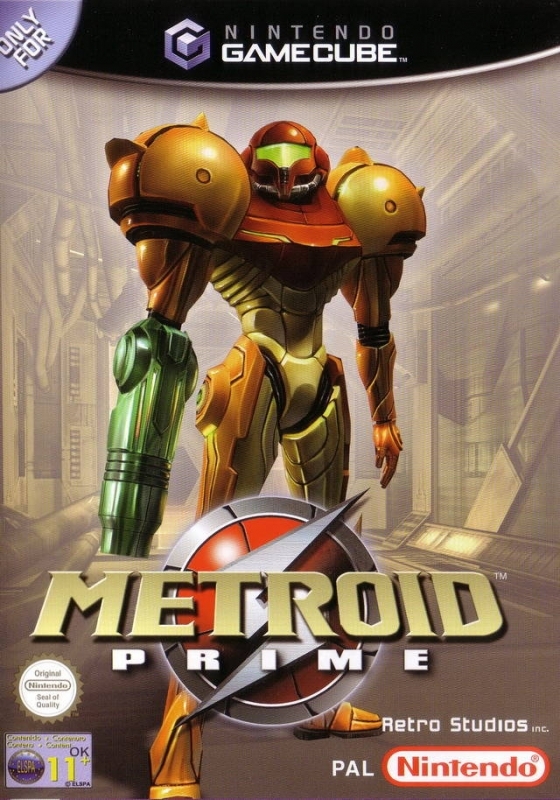 It was created by Retro Studios (a Nintendo owned second party) for the Nintendo Gamecube, and is officially classified a first person adventure, rather than a first person shooter, due to the amount of exploration in the game. 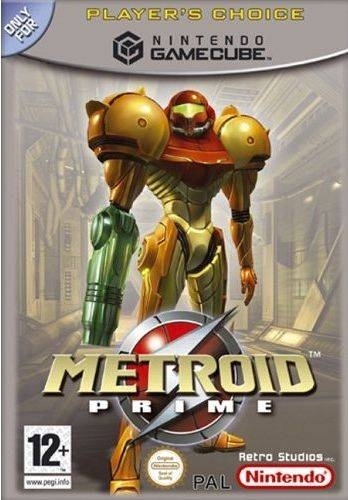 Metroid Prime was the first Metroid game released since Super Metroid, 8 years prior. 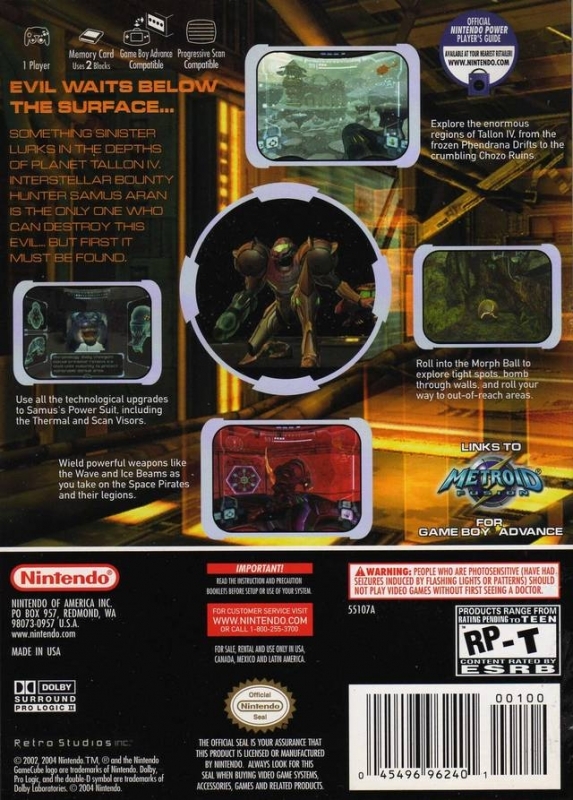 It follows Samus Aran, a female bounty hunter, through her adventures and battles with space pirates and their genetic experiments. 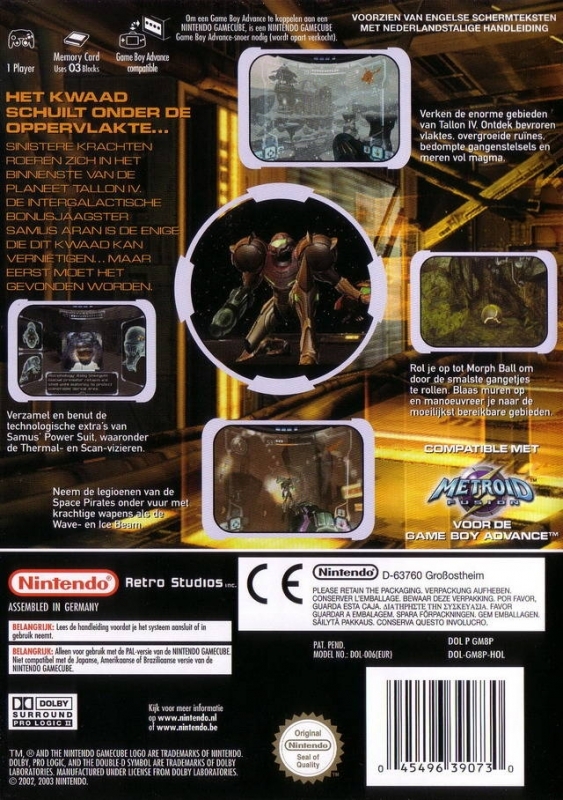 In the Metroid plot line, the game takes place between Metroid and Metroid II: The Return of Samus. 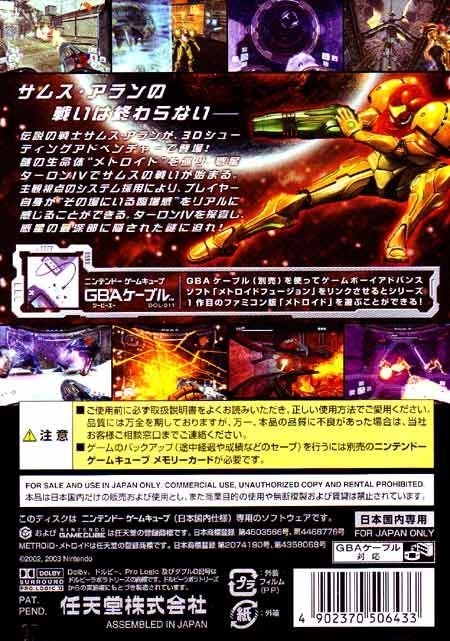 Throughout the game Samus recieves numerous weapons and new suits of armor, upgrading her powers and abilities. 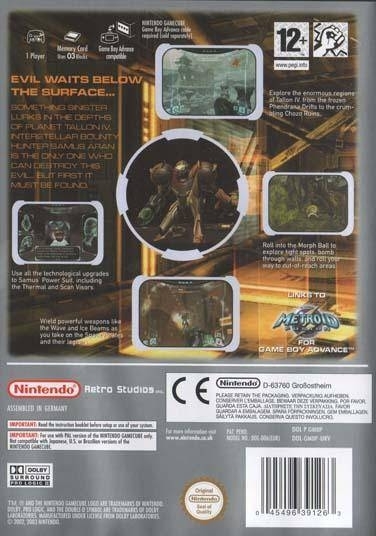 Gameplay is similar to first person shooters, although one major difference is that there is a button to lock on to th enemies. The game is often recognized by its epic boss fights, with often large and deadly enemies. The game has a deep and intriguing plot, but spoilers will not be given on this summary. 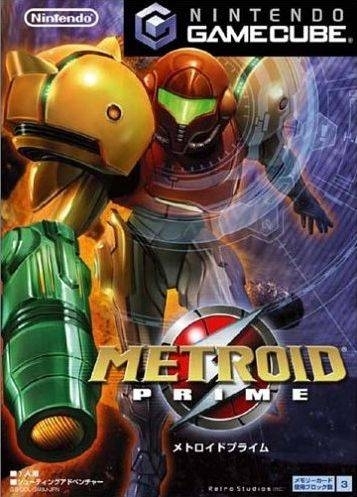 Metroid Prime is the first in a trilogy, and was followed by Metroid Prime 2: Echoes, and soon Metroid Prime 3: Corruption for the Nintendo Wii. 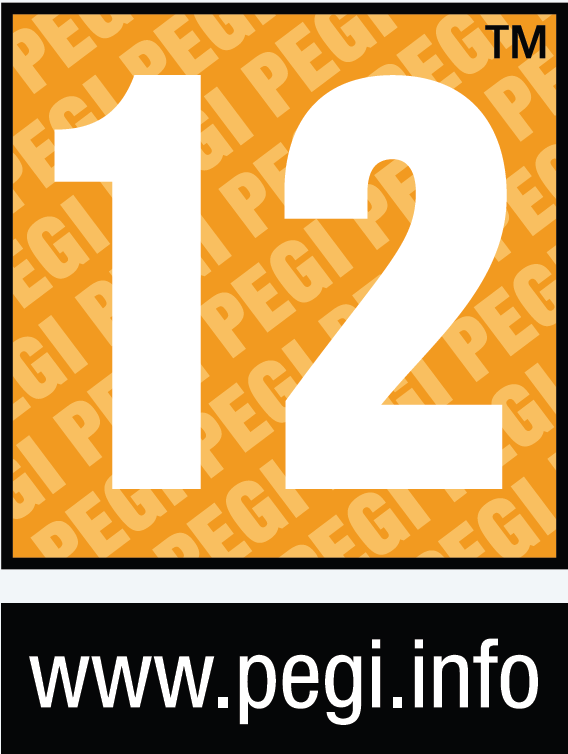 ExplodingBlock, This games sold better in Japan than in European countries. And for sure Japan is more west than you think. 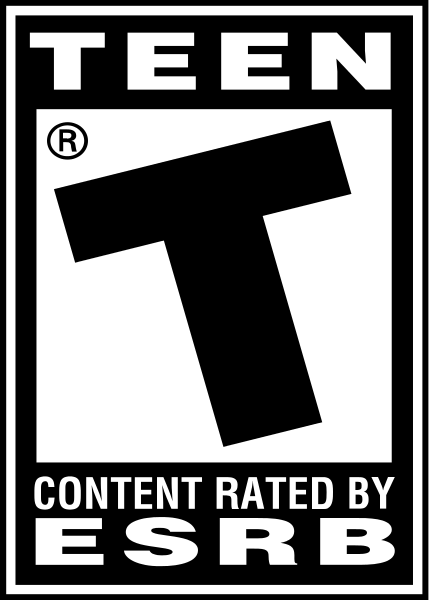 Music, movies, games - they love ''dark'' and mature things even more than Americans which like ''kawaii'' more than Japanese. US is more childish. So stop saying bullshits 'cause u don't know how pop culture in Japan looks like. Why does Japan hate anything that isn't kawaii? I need to play this. Like, now. I'd love for the Big N to release an HD remaster or at least put it on the VC but if I have to I'll track down the Trilogy. I've heard nothing but great things.